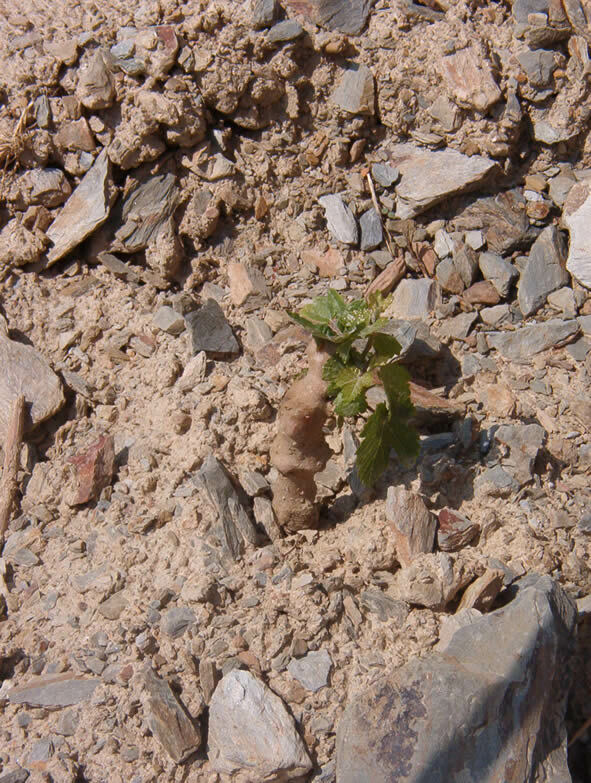 An infant vine struggling for life in the tough conditions of the Cima Corgo of Portugal's Douro. Note the graft region sealed with wax, and the schistous soils. This is the classic Douro terroir.